Ageing is an inevitable process but sometimes due to certain factors some individuals age prematurely. 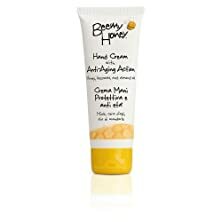 The first signs of ageing particularly for women show on the hands but with a good Anti-Aging Hand Cream this can be reduced substantially. However do not go and buy any old cream off the shelf you must make a careful selection. So, spend some time in doing research over the internet to locate good brands. The best way to proceed is to read customer reviews as they offer a god insight into the various brands that are being sold. Try to buy creams that have natural ingredients in them. Why Does The Skin On The Hand Age Prematurely? Before getting into the solution we should know the cause of the problems, so here are the primary causes of the skin on the hand to age before their time. • Oxidation: This process begins with small molecules which are very reactive and can cause substantial damage to the epidermis, dermis and hypodermis. • Glycation: It is true that a huge quantity of sugar within your body can make your skin age faster than it should. This causes the skin to become thin and develop cracks. • Exposure To Sunlight: Being exposed to the UV rays of the sun can cause the skin on the hand to age quite a bit. How Does it Affect the Beauty Of A Woman? A woman’s hand is always described as gentle, smooth and beautiful but it starts to age it develops wrinkles and dark spots. The complexion on the hands also become uneven and the texture becomes very rough. In certain cases the hand also become very dry and may feel itchy at times. The premature ageing of the hand may also spread to the nails and they become a bit discolored and brittle. However all of this can be dealt with by applying a nice cream on a daily basis and making certain changes in diet and lifestyle. You simply need a bit of patience and a systematic approach to things. 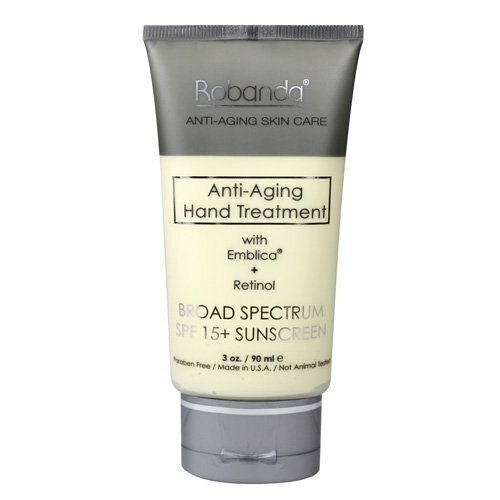 How To Prevent The Skin Of The Hand From Premature Ageing? The good news is that you do not have to follow a very tough routine to protect the skin on your hand from ageing prematurely. Here are some really helpful tips to protect your hands. • Apply Sunscreen: This tip is the most important and overlooked method to prevent the skin on your hands from ageing. Do not underestimate the power of sunscreen as it forms a protective layer over the skin and preventing it from sustaining damage while being exposed to the sun for long hours. Try to buy a sunscreen that is more than SPF30. • Exfoliate And Moisturize: It is no secret that you need to moisturize the skin on a daily basis to make sure it is well hydrated and remains soft. Also make sure that once a week you take the time out to exfoliate the skin as this will help in getting rid of all the dry skin. • Wear Gloves While Washing: Using too much detergent with your bare hands everyday can cause the skin on the hands to age quite a bit so you must consider wearing gloves while doing any washing. • Eating A Healthy Diet: To make sure that you have healthy and youthful skin your hands you consume a healthy diet that contains Vitamin E, B, and A. Also drink a substantial quantity of water. 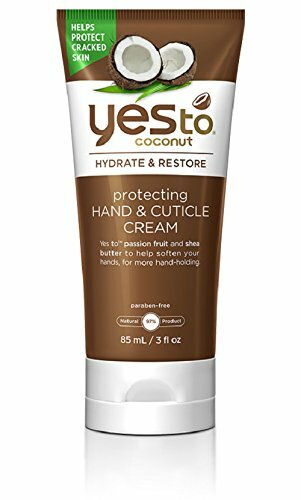 How To Select A Good Hand Cream? Hand creams are not hard to buy as they are sold at various retail outlets and online stores. Here are some pointers that you should focus on while selecting a hand cream. 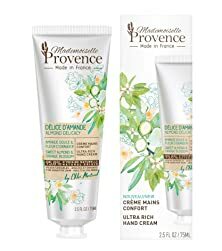 • Ingredients: You must always focus on buying hand creams that have natural ingredients in them. Do not buy creams that have harsh chemicals as they may have harsh reactions on the skin. Creams with wakame, Vitamin E and Grapeseed oil should be on top of your list all times. • Prices: Firstly do not fall for the usual marketing strategy that expensive products are always the best. There are many reasonably prices products out there that do a good job in preventing the premature ageing process of the skin on your hand. • Read Reviews: Reading reviews online will give you a good idea on the different brands that are being sold in the market. You must read both the positive and negative reviews to have a better understanding. The hand cream product contains highly potent natural collagen which is a unique feature of this variety only. The cream provides maximum utilization for user’s hands. Other similar products are loaded with chemicals causing negative impact on skin. On the other hand, this cream offers effective solution for wrinkled skin. The skin becomes agile and youth looking with the induced protein and elastin from collagen. A durable moisturized effect has been realized from the collagen. Such healing capacity can reduce cracks and broken skin effect. This cream is also effective in fast healing any type of external wounds like small cuts and other wounds. The cream serves as an authentic moisturizing treat for hands. It has been equipped with a non-greasy hydrating formula is utilized to leave hands with a soft feelings. It was further accumulated with the smooth and supple feels. The entire formula has been equipped with anti-wrinkle ingredients. The constituents like green tea and Vitamins A, C and E deliver all soft conditioning treatment for dry hands and nails. Made with Anti-Wrinkle Ingredients. Green Tea & Vitamins A, C & E Deliver Soft Conditioning Treatment for Dry Hands & Nails. Using daily will left the user attribute healthier look with conditioned finger nails and cuticles. All these are desirable as these can help in reducing cracks and broken skin effect. The product is recognized as a white pagoda hand cream. This has been infused with Japanese pagoda tree flowers. The other constituents include wasabi flavones, shea butter and hyaluronic acid. All these are combined to produce reducing effect upon irritation and redness. It is also helpful in clarifying skin imperfections. It also leaves a hydrated effect on hand that causes superior smoothness. The skin is thus left youth looking due to the hydrated effect. The cream produces desired effect for hand and nail care. The oxidative stress caused by UV exposure is also protected against due to its capacity to produce increasing collagen quality and moisture retention. 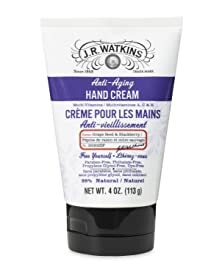 This anti-aging hand cream is available in package of single unit. The product is a non-greasy and velvety cream. Being enriched with antioxidants that defy aging has been helpful in maintaining youth looking hands. The cream is required to message into hands, nails and cuticles to bring about the effect of nourishment and protection. 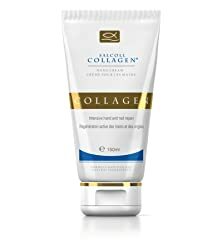 Collagen has been successfully initiated long lasting moisturized effect. The ingrained healing capacity is characterized with capacity to reduce cracks and broken skin effect. This cream is also effective for fast healing of any type of external wounds like small cuts and other wounds. The cream is one of those premier products that combine Retinol, SPF 15+ sunscreen and Gatuline cream that produce whitening effect. The last product is a complex lightening ingredient that has been derived by fermentation of Kojic and Lactic acids. This cream has been effective in producing maximum protection against sun rays. This property produces efficient restraints against dark spots too. The Vitamin A antioxidants in the unbeatable formula can produce simultaneous nail strengthening effect. This cream can also produce nourishing effect with regular messaging. Any type of external abrasive effect has also been successfully healed with this cream. The cream can be used effectively in restoring and strengthening dry and fragile skin. Better moisturizing effect has also been realized with the induced fortifying southernwood extracts. It is also helpful in fortification of the barrier on skin. The constituents like green tea and Vitamins A, C and E deliver all soft conditioning treatment for dry hands and nails. Made with Anti-Wrinkle Ingredients. Green Tea & Vitamins A, C & E Deliver Soft Conditioning Treatment for Dry Hands & Nails. The product produces deep moisturizing effect for 24 hours. This cream is also effective for fast healing of any type of external wounds like small cuts and other wounds. The product offers the skin on hand effective nourishment with the whitening skin firming effect. The cream also provides the alms with the required anti aging effect. The innovative healing lotion formula is instilled which is rapidly absorbed in the skin. The ultimate effect is that the skin becomes soft. The cream keeps the skin protected and it can prevent skin from showing any signs of aging. 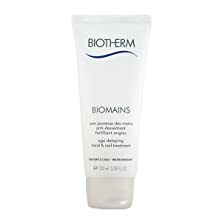 This desired effect in the cream has been brought about with the involvement of Vitamin A, B, C, D and F. A beautiful hydration level is maintained with these vitamins and these also help in enhancing the maintaining of imbibed capacity to retain water. The moisturizing effect in the hands has been brought with effective utilization of honey, which is known as one of the best moisturizers. The inclusion of emollient, vegetable linseed, almond oil act in producing optimum soothing effect and also helped in bringing the youthfulness in skin pattern. The anti aging effect has been better solicited with the beeswax that acts as a protective shield. All the inclusions act in formulating softness on the dried hand. It is designed to serve double purposes. These include prevention of dryness and chapping. Another purpose is assuring a long lasting relief to the skin of hands. The moisturizing cream is a non-greasy cream that is extremely suitable for bringing soothing effect to hands. The product is a cuticle skin protecting cream. The inclusion of passion fruit and shea butter helps in softening hands and also curb the aging process. It has shown best restoration effect for cracked and chapped skin and is best adored for this property. The various sophisticated items include ultra light spray body lotion, oil body wash and a balm that is used exclusively for head to toe restoration. The product has also been able to grab best award for alluring skin in the year 2016. 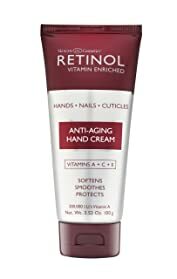 Retinol produces skin protecting acumen that helps in making hand more soothing when it is compared to age of the owner. It is derived from Vitamin A that can produce protective synergies against premature aging. The retinoid included in the Retinol helps in enhanced production of collagen. It can also boost up the skin cell turnover through producing diminishing effect for fine lines and wrinkles. The use of SPF 15 has proved effective in protecting hands from damages owing to UV rays. People express positive attitude for the ability to produce long lasting relief for hands. The ability to harness the power of the distinctive properties has been able to reduce the appearance of dark spots, evenly made skin tones, fine lines and wrinkles from the edge of the skin. The signs of aging is also been prevented with the basic attire to provide moisturizing effect that works in smoothening of skin. Therefore the user gets brighter skin that brings up youthful effect. Application is proved to deter the harmful effect of UV rays. A small amount of the cream is advised to apply on clean hands several times within a day or as per suggested by the doctor. The moisturizing cream is a non-greasy cream that is extremely suitable for bringing soothing effect to hands. The product is a cuticle skin protecting cream. The inclusion of ingredients like shea butter has been helpful in softening hands and also curbs the aging process. It has shown best restoration effect for cracked and chapped skin and is best adored for this property. Use of the cream makes the hands with fluffed with top nourishment experience. It also hydrates the skin which can bring the smoothening effect. The conditioning property has been able to bring about the soothing firmness within the skin. The product serves well in the winter season and is used bitterly in the form of cold weather skin care treatment. Hands get best soothe and moisturizing effect during winter. The inclusion of aloe vera and other skin smoothers has been able to produce youth looking skin. The product bears the property of a standard cold cream with the imbibed capacity of quick absorbing but no oily residue is left with. The product is conclusively proved great as body moisturizer, anti-aging cream, eczema and psoriasis relief. 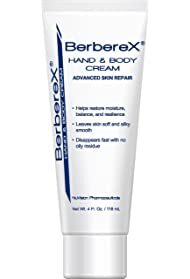 The hydrating formula is able to remove dry hand effect. The users are alerted against manufacturing defect. Unless expressed otherwise, cooking has not been able to produce any marvelous. The packaging of the product may produce variance from what is appeared in the listing of the products. Thus, the information may not be reliable too. The product has been included with Aloe Vera that also produces skin smoothening effect. 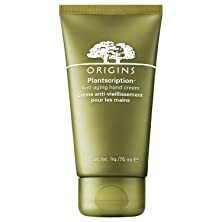 It is also fortified with Anogeissus plus Crithmum, Bamboo and Pea Extract, which is able to deliver intense doses of age-correcting moisture. This moisture helps in reducing fine, dry lines. Complete absorbing within hands left no greasy residue. The product does not contain any parabens and formaldehyde. Furthermore, no propylene, glycerol, mineral oil or any harmful ingredients are also excluded. Thus, the cream produces no adverse reaction on skin. Rather, it produces reverse effect of aging process. It contains complex B vitamins, amino acids, fatty acids, minerals and enzymes. All these constituents show natural antibiotic properties as well as ingrained antibacterial properties. The induced nutrient content can boost collagen production and helps to hydrate skin’s intercellular structure. These can raise the moisture level too, besides smoothing the lines that bring up aging effect. The hydrating and plumping effect can reduce the appearance of fine lines and wrinkles. 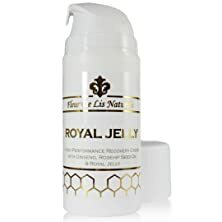 The unfailing potential of delivering moisture, nourishment of the imbibed antioxidants and nutrients has made the dry skin lotion at the very basic level. Skin is thus left with a silky smooth effect that leaves moisturized effect throughout the day. The product has been found suitable for dry skins exclusively. The product is able to regenerate skin with the natural and organic ingredients. These ingredients include Aloe Vera, Protein from Oat, Viramin B5 and E. The present scars and stretch marks are removed from extremely dry skin while the skin gets refreshed calming attributions too. The cream is a beautiful treatment over skin that leaves therapeutic moisturizing effect on racked, dry and cracked hands and nails. The cream is a light one that offers rich treatment. The whole operation has been designed to bring about softening effect on hard working hands. It is also enriched cocoa and shea butters. The ability to penetrate faster has also been able in proper protection, nourishment and moisturizing of the skin. The antioxidant formula has been able to leave hands silk smoothiong yet grease-free. The main constituents of the formula are Vitamin B5, Pumpkin, Avocado, Tamanu and Grape seeds. In addition to pampering, the hand cream smoothens rough cuticles and nourishes nails. A use of Gel in the product has been able to produce superior quality moisturizing and rejuvenating effects. The therapeutic property within the cream has been able to produce healing effect against all wounds and cuts. 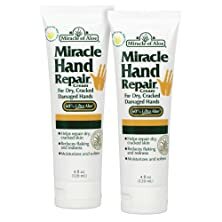 It could successfully restore dry, red, rough, cracked, flaking and damaged hands. 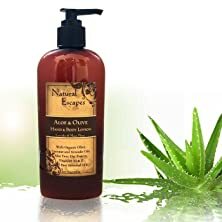 The Gel has been harvested from organic aloe leaves that produce ALOE VERA. ALOE VERA is one of the great skin smoothers. Besides pampering, the constituents smoothen rough cuticles and nourish nails. Its combination with different other healing ingredients has thus leave the skin over hand soft, smooth and youth-looking. The product is enriched with natural lavender and angelica extracts. Both of them are known for producing best nourishment effect and help in the relaxing mood. The branded product can offer a moisturizing and self-indulgent moments. Thus the hands are left with soft and delicate effervescence. The product does not contain any parabens and formaldehyde. Furthermore, harmful ingredients including propylene, glycerol, mineral oil or other ingredients producing detrimental effects are also excluded. Thus, no adverse reaction on skin is possible, Glycerin and Sunflower oil. All of the ingredients can produce moisturizing and soothe effect on hands. With the imbibed hydrating agents and Vitamin F contents the product is able to restore all the anti aging functionality within skin. 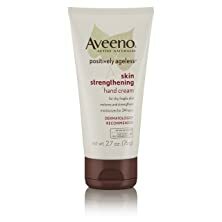 Effective moisturizing and nourishment have caused the hand cream to enjoy numbers of positive reviews. With the use of SPF4, the product is continuously produce shielding effect against UV rays and free radicals that brings up hardness of skin. Use in the suggested way has been successful in eliminating brown spots and all visible fine lines. Any inclusion of parabens, formaldehyde, propylene, glycerol and other ingredients that could produce adverse effects on skin are eliminated with care. The cream serves beautifully to offer therapeutic treatment over skin leaving moisturizing effect on racked, dry and cracked hands and nails. The cream is a light one that offers rich treatment. The whole operation has been designed to bring about softening effect on hard working hands. It is also enriched cocoa and shea butters. The ability to penetrate faster has also been able in proper protection, nourishment and moisturizing of the skin. The antioxidant formula has been able to leave hands silk smoothiong yet grease-free. The main constituents of the formula are Vitamin B5, Pumpkin, Avocado, Tamanu and Grape seeds. 21. 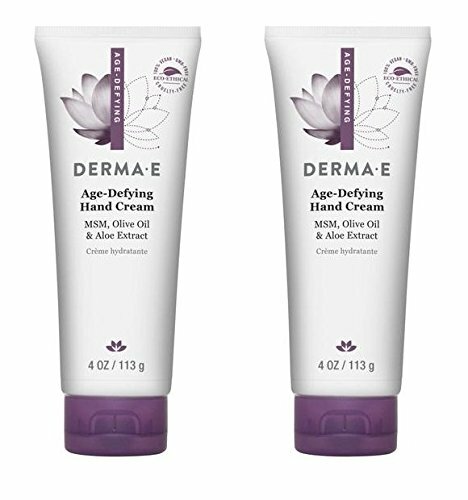 Derma E Age-Defying Antioxidant Hand Cream (Pack of 2) With MSM, Olive and Aloe Extract, To Provide All-Day Hydration and Healthy Cuticles for Smooth, Younger-Looking Hands, 4 oz. The product contains a bundle that includes two tubes of the cream. All these creams have rich contents of antioxidants and MSM. All these combine to produce all day hydration. The healthy cuticles can effectively produce smooth and younger looking hands. It is suggested that hands show signs of environmental damage and other mechanical aging at a faster rate than other areas of the body. 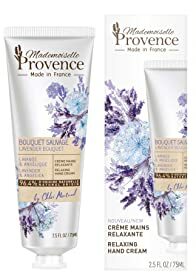 Anti aging hand creams are featured with their capacity to fight premature signs of aging. This beautiful cream has ability to heal dry, chapped and weather-worn hands with favorable inclusions of Vitamin B5 and F.
Most of the people like this product for its beautiful ability of reducing fine lines and wrinkles. The property of hyper-pigmentation is adored for the active capacity to produce firm and youth looked hands. The product has been captivated an 18% formula of shea butter. This unique formula is able to provide a non-greasy and fast absorbing hydration effect. All these can put a favorable combat against regular wear and tear. The product assumes leadership in pro-biotic skincare. Combination of powerful pro-biotic and selected super-food has worked beautifully for healthy, balanced and glowing skin. All these products are clean, clinically proven, and effective. 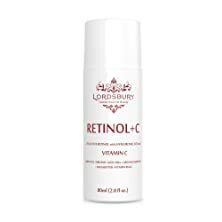 Wrinkles, fine lines and other symptoms of aging are reduced with application of pure Retinol cream and Vitamin C. Vitamin C protects new skin cells from the free radicals and pollution. The retinol cream used in the product has been infused with natural and organic ingredients. These ingredients include wild-crafted Green Tea, organic form of ALOE VERA, Jojoba and Sunflower oil in their organic form, SHEA butter and Vitamins in B5 and E forms. Application has been suggested all day and nights. It helps to boost collagen growth, reduce wrinkles, remove dark spots, treat hyper-pigmentation, and reduce acne with pure form of Retinol, Vitamin C and Hyaluronic Acid. 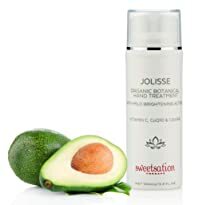 The product uses sweet almond and orange blossom extracts. The blending is sure to indulge with skin softening properties and leave hands deeply nourished and soothed. The product contains natural ingredients within maximum range. Use of SHEA butter, Glycerin, Olive oil and AALLANTOIN has produced best moisturizing and softening effects. The product does not contain any paraben or formaldehyde. All other harmful ingredients including propylene, glycerol, mineral oil or other ingredients producing detrimental effects are also excluded. The product has been helpful in boosting collagen growth, reduce wrinkles, remove dark spots, treat hyper-pigmentation, and reduce acne with pure form of Retinol, Vitamin C and Hyaluronic Acid. 25. Skinn Cosmetics Hand Restore Protect Anti-Aging Hand Cream Spf 30 4 oz. Aging of skin put its primary effect on the skin of hands. The skin is too delicate to tolerate any adversary on it. The cream is able to produce protective, hydrating and further bringing effect of density on skin. The entire rich emollients and powerful anti-dark spot complex work in relieving dryness besides reducing the appearance of age spots. 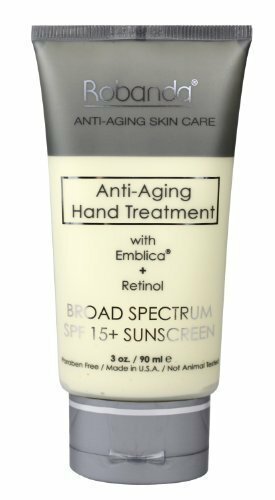 The addition of enriched firming proteins has been able to give the product render a youthful look to hands. The cream has more adoring for extreme durability. Thus, the hands will never feel exposed to the environment. So while you are out buying an Anti Aging Hand Cream you must not hurry the process. If you have very sensitive skin you should consult a dermatologist as he may suggest a medicated cream for you. Sticking to a cream with natural ingredients is the best way to go about things. Apply a cream on a daily basis and watch the skin on your hand regain its youthful appearance. Do not expect results overnight you will have to use this for a couple of weeks at least. Remember to buy from reputed brands as you can be assured of buying good quality products.